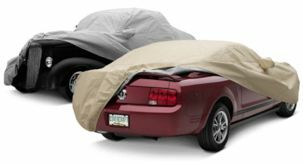 OUTDOOR or INDOOR Cover — A light, single-layer cover that repels water & dirt but remains breathable. One of the finest budget-priced covers. Includes a FREE Storage Bag! 1 Year Warranty.